"A library implies an act of faith." - Victor Hugo. "A library is not a luxury but one of the necessities of life." - Henry Ward Beecher. "If you have a garden and a library, you have everything you need." - Marcus Tullius Cicero. "If you want to get laid, go to college. If you want an education, go to the library." - Frank Zappa. "I must say I find television very educational. The minute somebody turns it on, I go to the library and read a good book." - Groucho Marx. "Books constitute capital. A library book lasts as long as a house, for hundreds of years. It is not, then, an article of mere consumption but fairly of capital, and often in the case of professional men, setting out in life, it is their only capital." - Thomas Jefferson. A LIBRARY (from French "librairie"; Latin "liber" = book) is an organized collection of information resources made accessible to a defined community for reference or borrowing. It provides physical or digital access to material, and may be a physical building or room, or a virtual space, or both. A library's collection can include books, periodicals, newspapers, manuscripts, films, maps, prints, documents, microform, CDs, cassettes, videotapes, DVDs, Blu-ray Discs, e-books, audiobooks, databases, and other formats. Libraries range in size from a few shelves of books to several million items. The first libraries consisted of archives of the earliest form of writing—the clay tablets in cuneiform script discovered in Sumer, some dating back to 2600 BC. These written archives mark the end of prehistory and the start of history. The earliest discovered private archives were kept at Ugarit. There is also evidence of libraries at Nippur about 1900 BC and at Nineveh about 700 BC showing a library classification system. Private or personal libraries made up of written books (as opposed to the state or institutional records kept in archives) appeared in classical Greece in the 5th century BC. In the 6th century, at the very close of the Classical period, the great libraries of the Mediterranean world remained those of Constantinople and Alexandria. From the 15th century in central and northern Italy, libraries of humanists and their enlightened patrons provided a nucleus around which an "academy" of scholars congregated in each Italian city of consequence. Tianyi Chamber, founded in 1561 by Fan Qin during the Ming Dynasty, is the oldest existing library in China. In its heyday it boasted a collection of 70,000 volumes of antique books. The first library classification system was set up during the Han Dynasty. In North America, it is believed that personal collections of books were brought over to the continent by French settlers in the 16th century. The oldest non-personal library on the North American continent was founded at The Jesuit College in Quebec City in 1635. 9 stunning contemporary libraries - "An international movement is seeing the rise of beautifully designed cultural hubs. Clare Dowdy rounds up the best recent examples, from a library-farm to a ‘tinkering lab’." 25 Most Famous Libraries Of The World - LibraryScienceList.com. 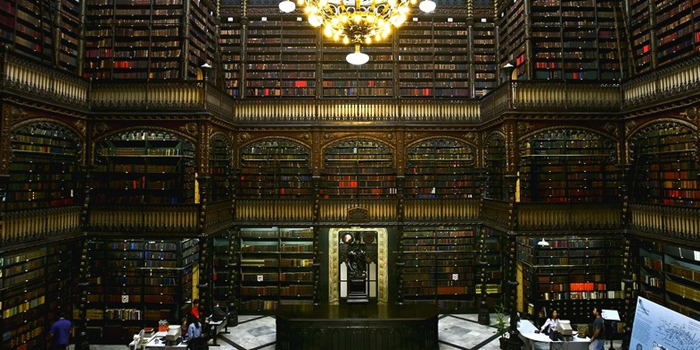 62 of the World's Most Beautiful Libraries - Mental Floss. An open book: a photographer's love letter to city libraries - in pictures - The Guardian. 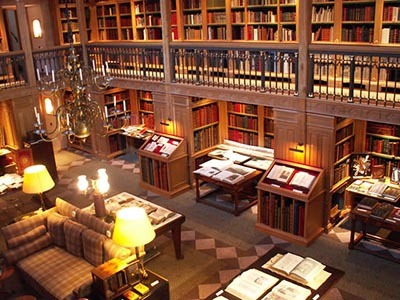 Famous Libraries - Gentleman Scholar. 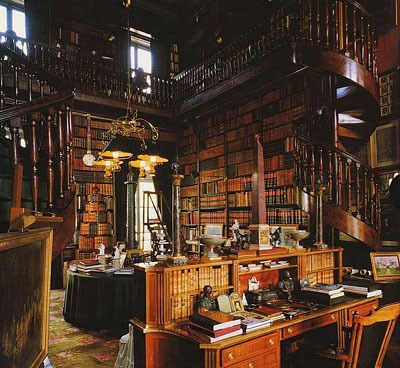 Famous Libraries & Reading Rooms - Pinterest. Homes with magnificent libraries - Sotheby's. 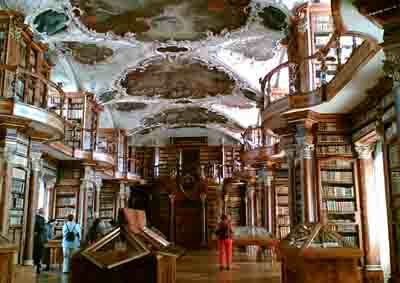 Libraries of the Rich and Famous - Book Riot. LIBRARIES OF THE WORLD - and their catalogues. 'Oldest library in Germany' unearthed by Cologne archaeologist - BBC News. Online Computer Library Center | OCLC - founded in 1967. "A nonprofit, membership, computer library service and research organization dedicated to the public purposes of furthering access to the world’s information and reducing information costs." Palaces for the people: why libraries are more than just books - The Guardian. 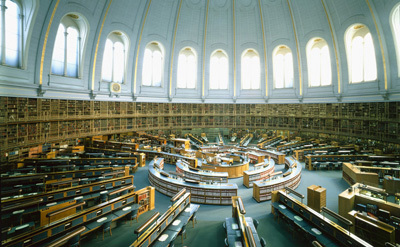 Panoramic portraits of American libraries - in pictures - The Guardian. Reinventing the Library - The New York Times. The Biggest and the Most Famous Libraries in the World - Travelatus Guide. The Hidden Treasures in Italian Libraries - The New York Times. 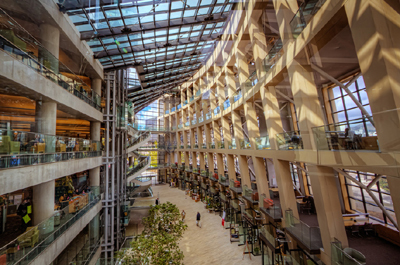 The most beautiful libraries in America - in pictures - The Guardian. 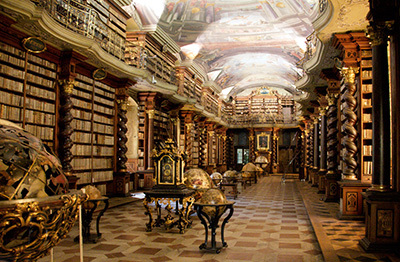 The most spectacular libraries in the world - The Telegraph. 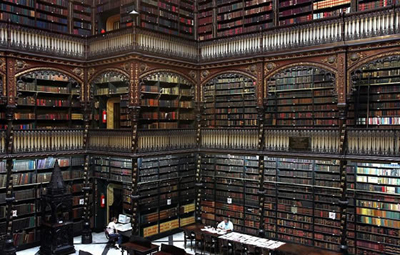 world’s most beautiful libraries - BBC culture. WORLDCAT - created in 1971. The largest online public access catalog (OPAC) in the world. A union catalog which itemizes the collections of 72,000 libraries in 170 countries and territories which participate in the Online Computer Library Center (OCLC) global cooperative. It is built and maintained collectively by the participating libraries. Abbey library of Saint Gall - library collection is the oldest in Switzerland, and is one of earliest and most important monastic libraries in the world. It holds 2,100 manuscripts dating back to the 8th through the 15th centuries, 1,650 incunabula (printed before 1500), and old printed books. The library holds almost 160,000 volumes. The library books are available for public use, but the books printed before 1900 must be read in the Reading Room. The library hall, designed by the architect Peter Thumb in a Rococo style, is considered the most beautiful non-sacred room of this style in Switzerland and one of the most perfect library rooms around the world. 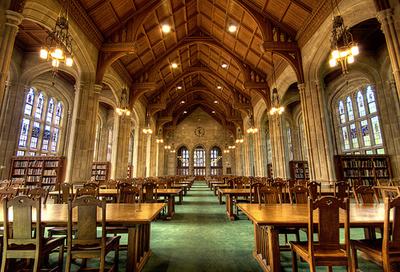 Bapst Art Library - named for the first president of Boston College, served as the original Library from 1925 until the opening of the Thomas P. O'Neill Library in 1984. It now supports the increasingly interdisciplinary teaching and research needs in the areas of Art, Architecture, Museum Studies and Photography throughout the University and specifically for the Department of Fine Arts. 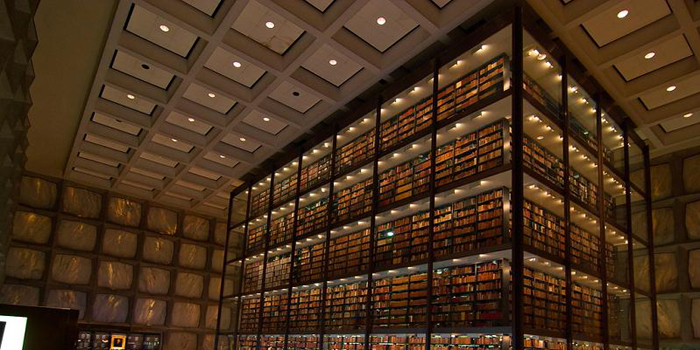 Beinecke Rare Book and Manuscript Library - a 1963 gift of the Beinecke family. 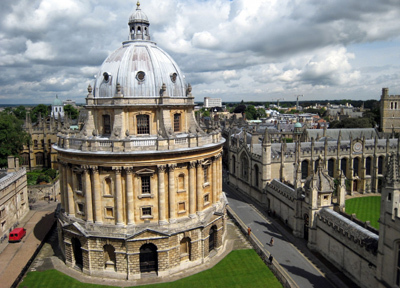 It is one of the largest buildings in the world devoted entirely to rare books and manuscripts. The library has room in the central tower for 180,000 volumes and room for over 600,000 volumes in the underground book stacks. The library contains roughly 500,000 volumes and several million manuscripts. 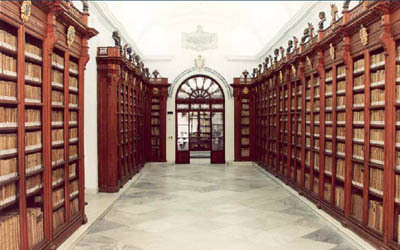 Biblioteca Colombina - Sevilla, Spain. The library contains incunabula and rare works on the discovery of America. It contains manuscripts written by Christopher Columbus himself. BIBLIOTHECA ALEXANDRINA - both a commemoration of the Library of Alexandria that was lost in antiquity and an attempt to rekindle something of the brilliance that this earlier center of study and erudition represented. BODLEIAN LIBRARY - main research library of the University of Oxford established in 1602 by Thomas Bodley with a colection of 2,000 books. Today, there are more than 9 million items on 176 kilometres of shelving. It is one of the oldest libraries in Europe, and in Britain is second in size only to the British Library. 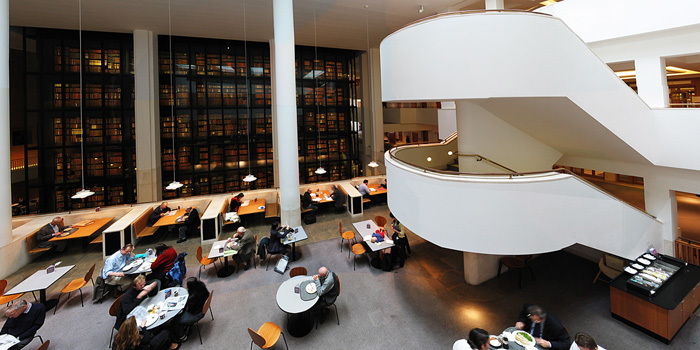 BRITISH LIBRARY - "Explore the world's knowledge. We hold 14 million books, 920,000 journal and newspaper titles, 58 million patents, 3 million sound recordings, and so much more." The world's largest library in terms of total number of items holding over 150 million items in all known languages and formats. 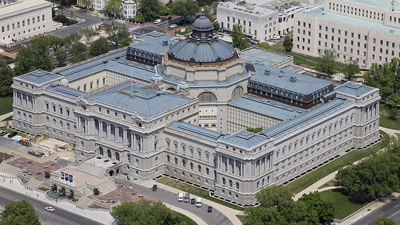 While it holds more items in total, its book collection (14 million) is second only to the American Library of Congress. CAMBRIDGE DIGITAL LIBRARY - "Cambridge University Library contains evidence of some of the greatest ideas and discoveries over two millennia. We want to make our collections accessible to anyone, anywhere in the world with an internet connection and a thirst for knowledge." EUROPEANA - "Think Culture." Search through the cultural collections of Europe. It links you to over 20 million digital items (2012). George Peabody Library - founded in 1852 through a large donation from investment banker George Peabody. 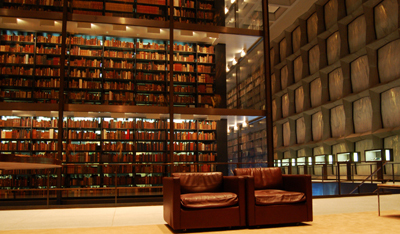 Today, it houses over 300,000 volumes that are part of the Special Collections department. The books date back to the 19th century and cover topics like religion, British art, architecture, history, literature, romance languages and travel, reflecting the academic interests of the period. 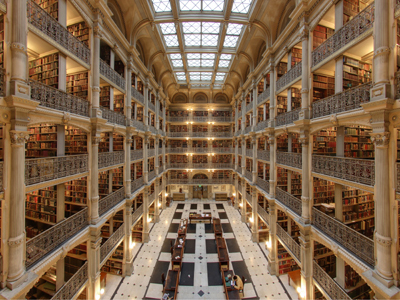 Johns Hopkins University, Baltimore, Maryland, U.S.A.
Girolamini Library - Naples, Italy. 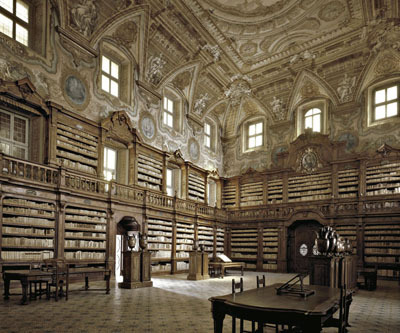 One of the richest and oldest libraries in Italy. 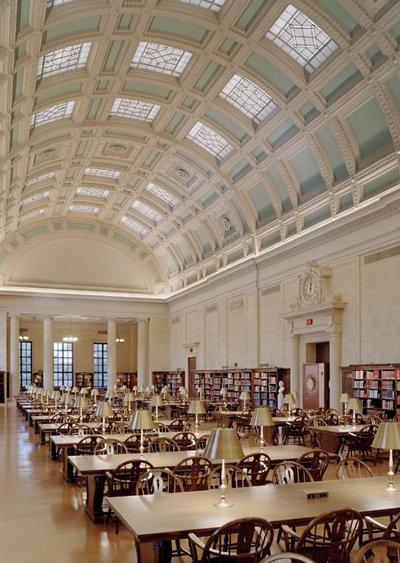 Harvard University Library - comprises about 90 libraries, with more than 16 million volumes. It is the oldest library system in the United States, the largest academic and the largest private library system in the world. 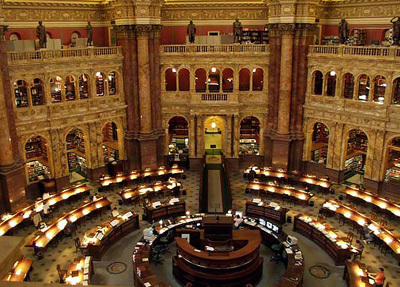 Based on the number of volumes in the collection, it is the third largest library collection in the US, after the Library of Congress, and Boston Public Library. 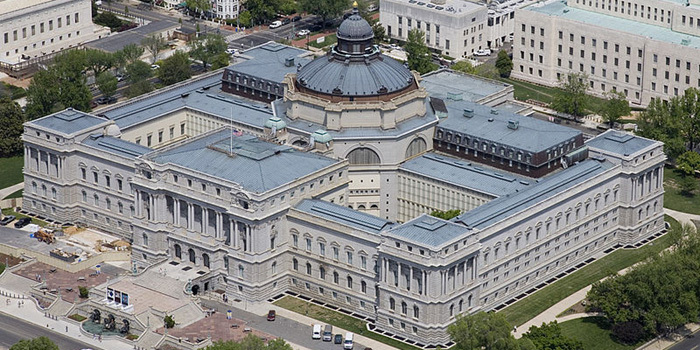 LIBRARY OF CONGRESS - the largest library in the world by shelf space and holds the largest number of books. National Library of Scotland - reference library with world-class collections. NLS is also Scotland's largest library and one of the major research libraries in Europe. National Library of the Czech Republic - since 1777. 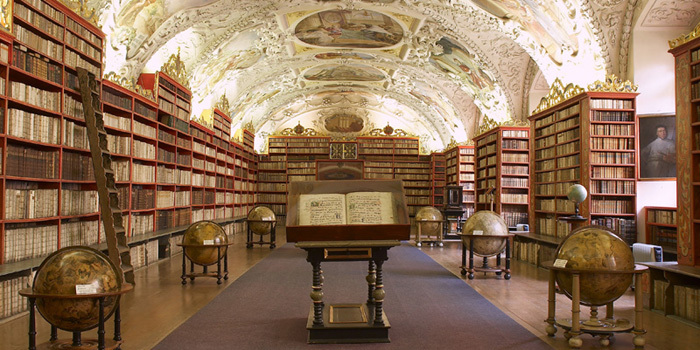 The library's main building is located in the historical Clementinum building in Prague, where approximately half of its books are kept. As well as Czech texts, the library also stores older material from Turkey, Iran and India. The library won international recognition in 2005 as it received the inaugural Jikji Prize from UNESCO via the Memory of the World Programme for its efforts in digitising old texts. The project, which commenced in 1992, involved the digitisation of 1,700 documents in its first 13 years. NEW YORK PUBLIC LIBRARY - consists of 87 libraries: four non-lending research libraries, four main lending libraries, a library for the blind and physically challenged, and 77 neighborhood branch libraries in the three boroughs served. Together the collections total more than 50 million items, and the books number more than 20 million, a number surpassed only by the Library of Congress and the British Library. Pontifical Lateran University Library - the Pius IX Library, established in 1773, boasts 500,000 documents, 650 journals, 7 floors, 6 subject-specific areas and also includes reading rooms. Rome, Italy. 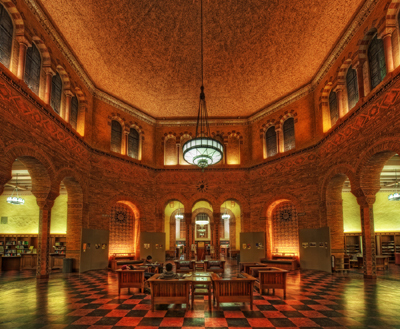 Powell Library - main college undergraduate library on the campus of the University of California, Los Angeles (UCLA). It was constructed from 1926 to 1929 and was one of the original four buildings that comprised the UCLA campus in the early period of the university's life. Its Romanesque Revival architecture design, its historic value and its popularity with students make it one of the defining images of UCLA. Like the building facing it across the quad, Royce Hall, the building's exterior is modeled after Milan's Basilica of Sant'Ambrogio. PRIVATE LIBRARY AT ChÂteau de Groussay - used by Cecil Beaton as the model for Henry Higgins' library in My Fair Lady. PROJECT GUTENBERG - the first producer of free electronic books (ebooks). Riggs Library - one of the few cast iron libraries in the nation and one of even fewer that are still used to house books. Georgetown University - located in the south tower of Healy Hall. Georgetown, Washington, D.C., U.S.A.
Royal Portuguese Reading Room - has the largest and most valuable literary of Portuguese outside Portugal. 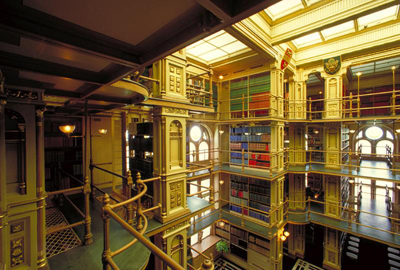 Constructed between 1880 and 1887, it has more than 350,000 volumes in a library, fully computerized. Rio de Janeiro, Brazil. Salt Lake City Public Library - architecturally unique structure in Salt Lake City, Utah. 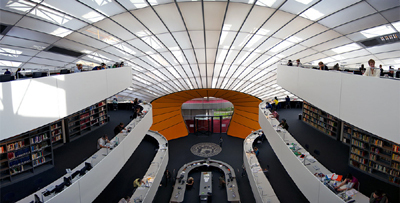 The whole library depends on natural lighting, reducing the need of lights in the library. A huge five story glass wall is where most of the light comes from. 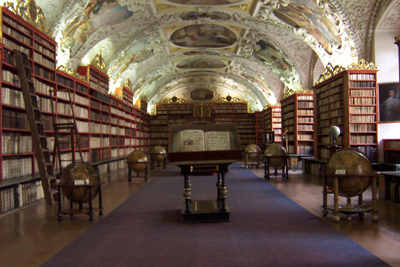 Strahov Monastery Library - Theological Hall completed in 1679. Prague, Czech Republic. 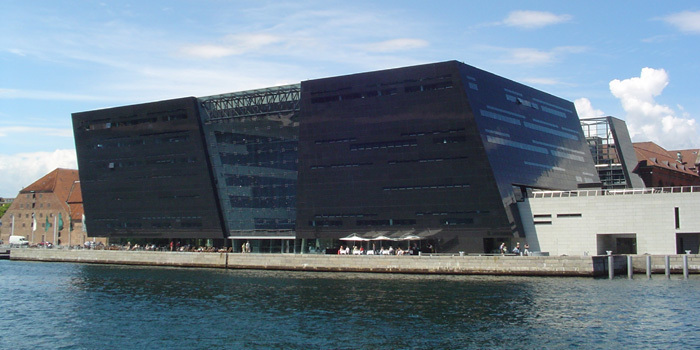 The Black Diamond - modern waterfront extension to the Royal Danish Library's old building on Slotsholmen in central Copenhagen, Denmark. Its quasi-official nickname is a reference to its polished black granite cladding and irregular angles. 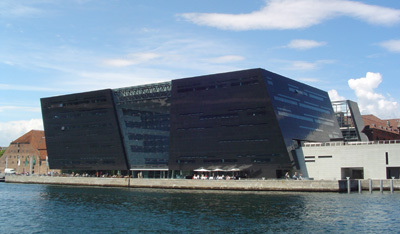 Completed in 1999 as the first in a series of large-scale cultural buildings along Copenhagen's waterfront. Apart from its function as a library, the building houses a number of other public facilities and activities. The facilities include a 600-seat auditorium, the Queen's Hall, used for concerts—mainly chamber music and jazz—literary events, theatrical performances and conferences. There are also exhibition spaces, a bookshop, a restaurant, a café and a roof terrace. THE EUROPEAN LIBRARY - searches the content of European national libraries. THE FREE LIBRARY - (19,266,820 articles & books: March 21, 2010): news, magazines, newspapers, journals, reference articles and classic books. 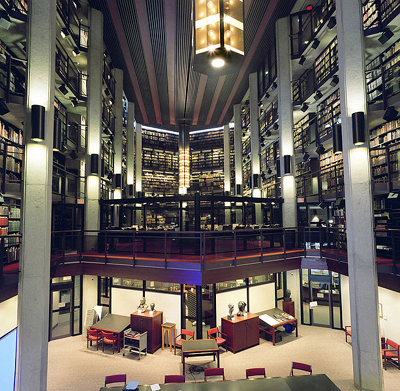 Thomas Fisher Rare Book Library - library in the University of Toronto, constituting the largest repository of publicly accessible rare books and manuscripts in Canada. Among the collection's items are the Nuremberg Chronicle (1493), Shakespeare's First Folio (1623), Newton's Principia (1687), and Darwin's proof copy (with annotations) of On the Origin of Species (1859). Other collections include Babylonian cuneiform tablet from Ur (1789 BC), 36 Egyptian papyrus manuscript fragments (245 BC), and Catholicon (1460). 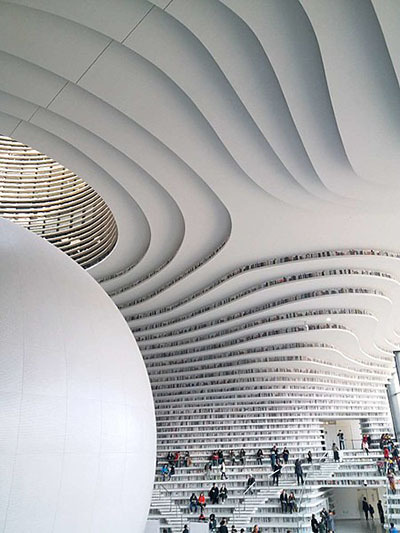 Tianjin Binhai Library - since 2017. 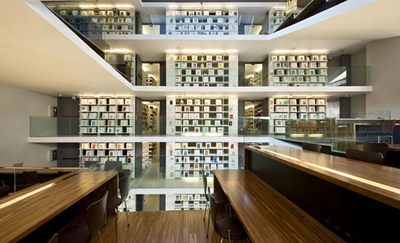 Library in Tianjin, China. 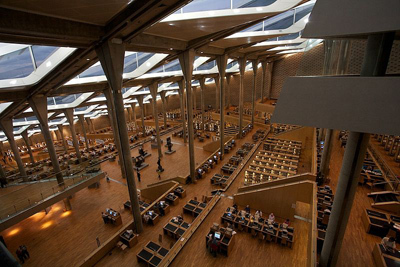 The five-level library has a total space of 33,700 square metres. 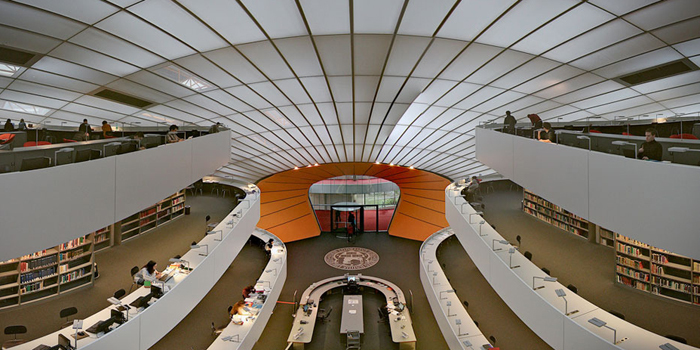 It features floor-to-ceiling, terraced bookshelves able to hold 1.2 million books, and a large, luminous sphere in the center that serves as an auditorium with a capacity of 110 people. The library is nicknamed 'The Eye' because the sphere, which appears like an iris, can be seen from the park outside through an eye-shaped opening. Trinity College Library - this university library is the largest library in Ireland, comprising of several different buildings that are home nearly 5 million volumes. The oldest (constructed in 1592) and most beautiful of the library buildings houses the Early Printed Books Reading Room and the Manuscripts Reading Room. 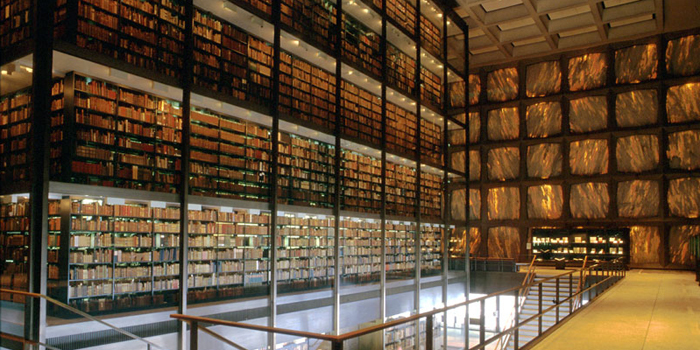 The library's most famous holding is a copy of The Book of Kells, an illuminated manuscript dating from the 6th century. 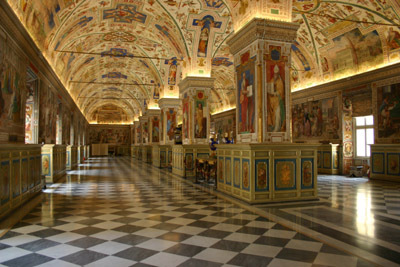 VATICAN LIBRARY - formally established in 1475. One of the oldest libraries in the world and contains one of the most significant collections of historical texts. Holds some 75,000 manuscripts and over 1.1 million printed books. WILEY ONLINE LIBRARY - hosts the world's broadest and deepest multidisciplinary collection of online resources covering life, health and physical sciences, social science, and the humanities. It delivers seamless integrated access to over 4 million articles from 1500 journals, 9000 books, and hundreds of reference works, laboratory protocols and databases. Wormsley - The LIBRARY - "Sir Paul Getty spent twenty-five years assembling one of the finest private collections of books and manuscripts in the country. This unparalleled collection of works dates from the 7th century through to the 20th century. Highlights include rich and vivid medieval illuminated manuscripts dating from the 12th – 15th centuries; the first edition of Caxton’s printing of The Canterbury Tales; Anne Boleyn’s Psalter and the first folio of Shakespeare’s Comedies, Histories and Tragedies.